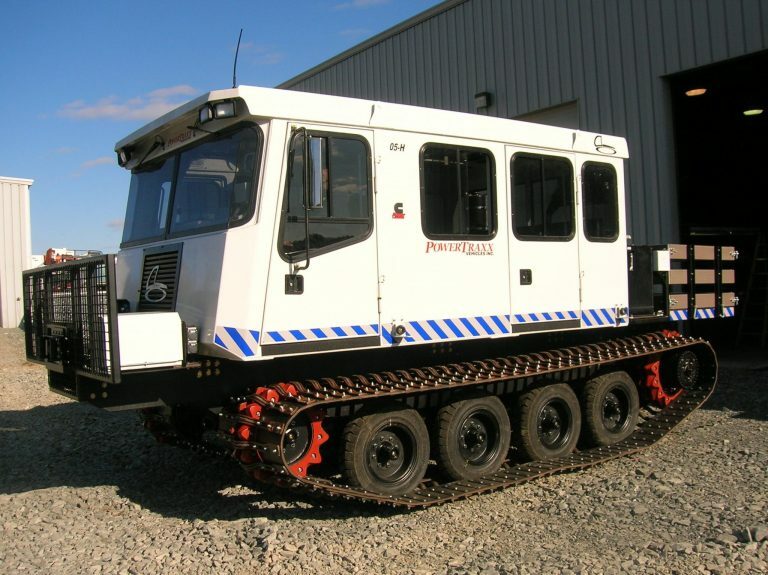 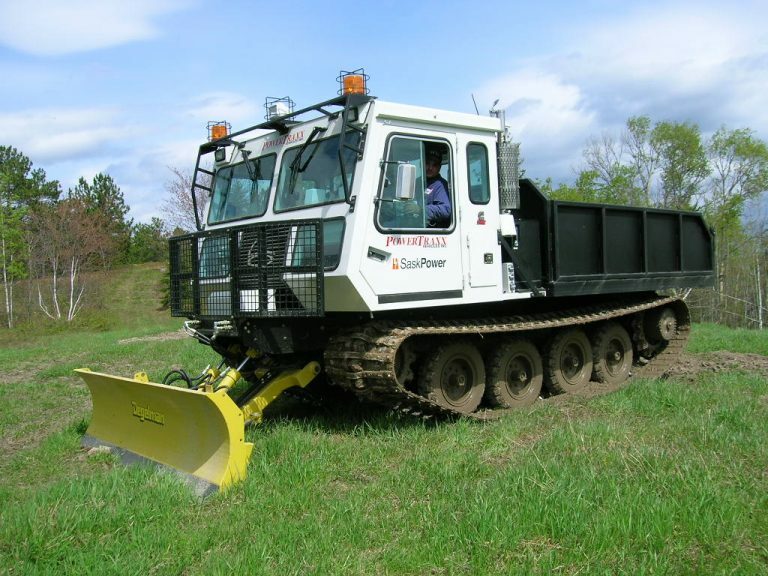 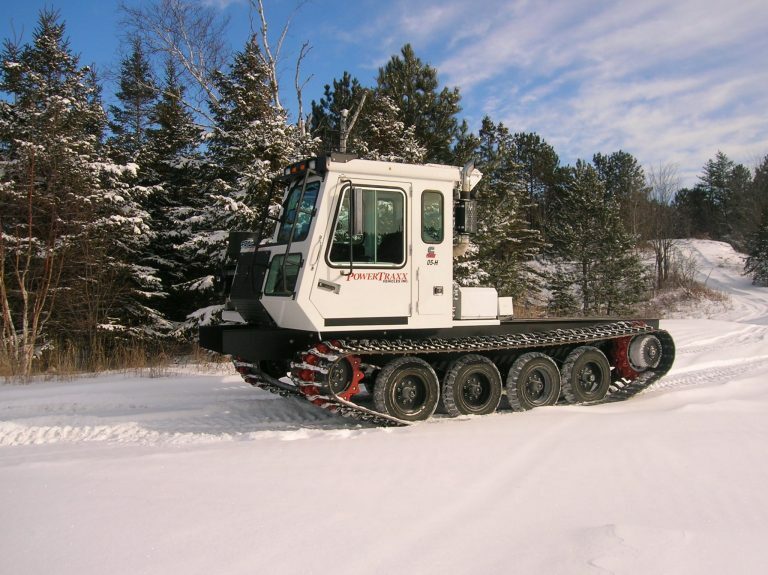 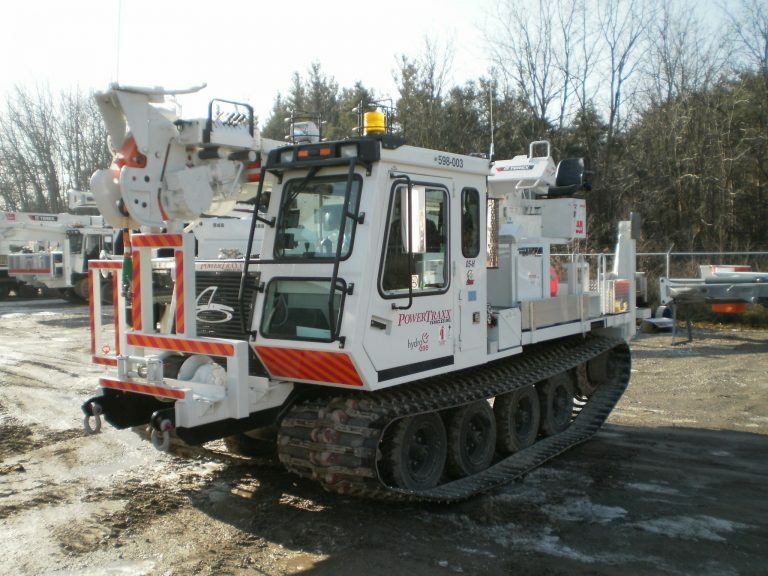 05-H | PowerTraxx Vehicles Inc.
PowerTraxx 05-H, a multi-purpose unit can be utilized as flatbed carrier, or mounted with small to medium sized digger-derricks, aerial devices, and other attachments. 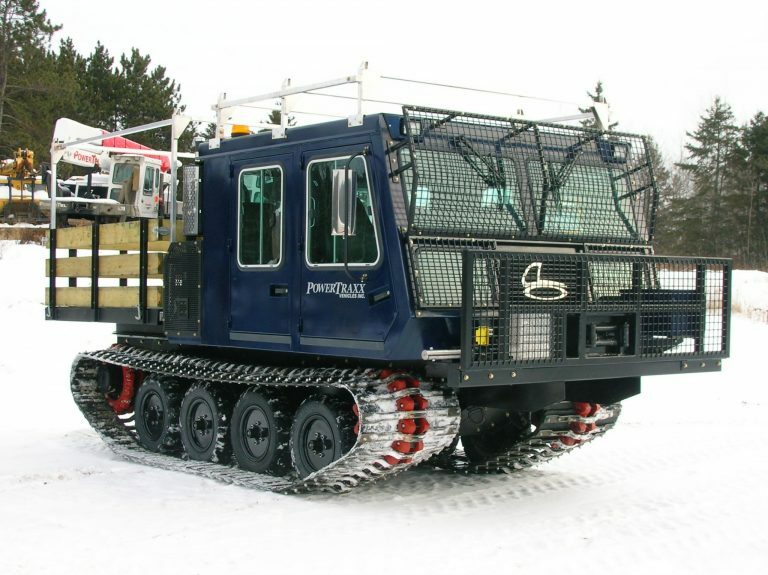 The 05-H with 12,500 lbs. 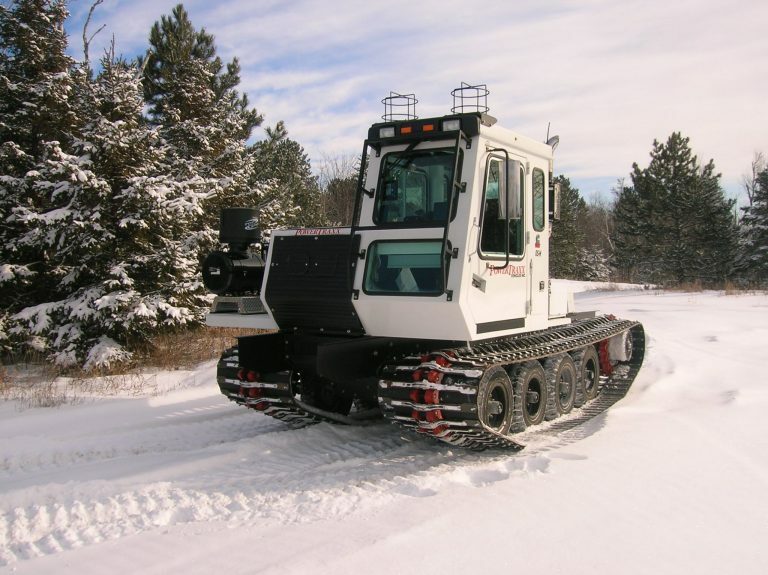 payload capacity utilizes 33” wide D-dent tracks to evenly distribute the load for an incredibly low ground pressure rating. 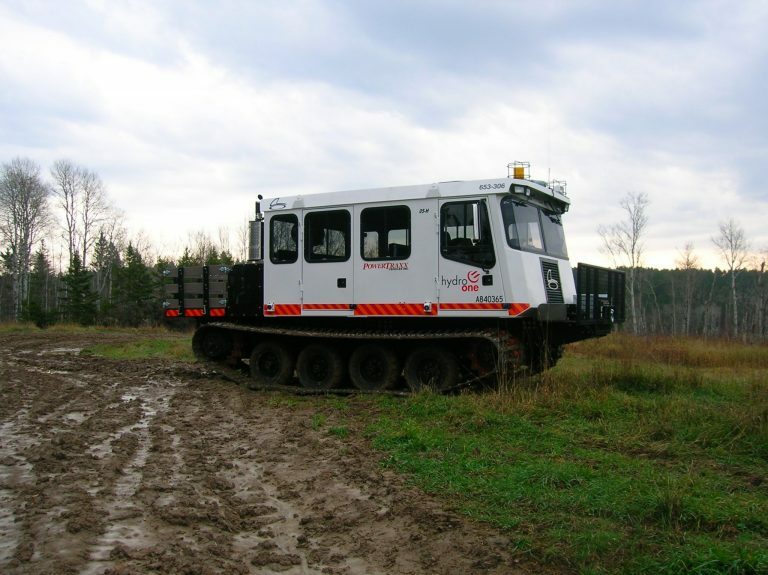 Its 170 hp Cummins® diesel engine helps to make this light unit quick and manoeuvrable in extreme operating conditions.